ATLANTA (Nov. 1, 2017) – Emory University’s Goizueta Business School and FedEx announced a five-year, $1 million agreement today to bring real-life data and problem-solving opportunities to students in one of the nation’s premier graduate programs. FedEx has teamed up with Emory University to support its Master of Science in Business Analytics (MSBA) program. FedEx and Goizueta will partner on initiatives including recruiting access, data for student projects, conferences and a named scholarship. The 10-month MSBA program includes subjects such as Machine Learning, Managing Big Data and Visualization along with a significant experiential component through a capstone course overseen by faculty in collaboration with corporate partners. The Class of 2018 sports an impressive resume, including an average GMAT score of 715 scoring around 90th percentile in the quantitative portion. Nearly half (42 percent) of the 37 students have previous work experience representing companies like Accenture, Deloitte, JP Morgan, Liberty Mutual, Unilever and the United States Navy. Student talent and the ability to influence project design attracted FedEx to the program. Data-heavy business programs are increasing in popularity and scope. Seventy-five percent of companies in the U.S. and United Kingdom are actively working to increase business use of analytics. The average starting salary of recent MSBA graduates in the U.S. is $90,000. “Today’s business problems sit on a three-legged stool and invariably there is a business person, a tech person, and a data person to support,” said Professor Ramnath Chellappa, associate dean and academic director of the MSBA program. “The challenge is that these three people do not communicate very well because they use very different languages in the workplace. Our program bridges this divide by creating a business data scientist — one who speaks the language of business while being technically savvy and fully trained in data science. Business education has been an integral part of Emory University’s identity since 1919. That kind of longevity and significance does not come without a culture built on success and service. 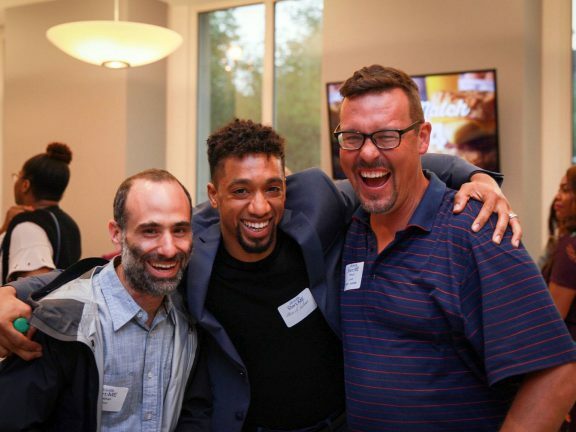 The hallmark of the Goizueta Business School experience is learning in a tight-knit, intimate community where every student, faculty member, and administrator knows each other by first name. The school trains business leaders of today and tomorrow with an Undergraduate degree program, a Two-Year Full-Time MBA, a One-Year MBA, an Evening MBA, two formats of an Executive MBA, a Master’s of Business Analytics, a Doctoral degree and a portfolio of non-degree Emory Executive Education courses. The school is named for the late Roberto C. Goizueta, former Chairman and CEO of The Coca-Cola Company.